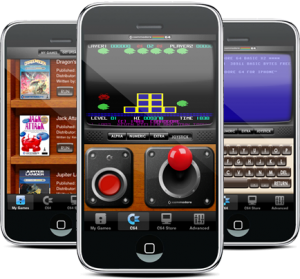 Early last week we reported that the C64 for iPhone emulator [App Store] would soon be getting global leaderboards and achievements for in-library games via the OpenFeint network. These features were rolled out yesterday as part of the v1.4 update. As the in-app games themselves were changed to facilitate these enhancements, they must be “purchased" again from within the application before the global network features can be utilized (at no additional cost to the user). 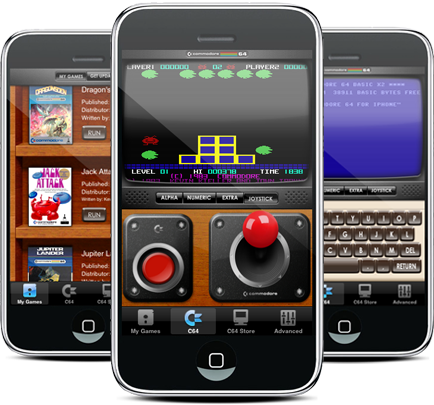 The developer also indicates that the emulator environment received certain performance enhancements that allow iPhone 3GS and 3G iPod touch units to run all games at a solid 50fps for smoother gameplay. Manomio indicates that the upcoming v1.5 update will be focused on usability and playability; controls and the UI will get some work. Details on these will be forthcoming on the developer’s blog. Another very interesting bit of news comes from forum reader killy billy who spotted seven new games listed in the C64 in-app shop yesterday but, as yet, unavailable for purchase. The list of games he saw follows. We grabbed the update and took at look at the app’s game shop, but the indicated games were not listed, presumably pulled until available for actual purchase. Let’s hope they reappear with full global network integreation — and soon. What a superb list of titles it seems Manomio has in store for us. 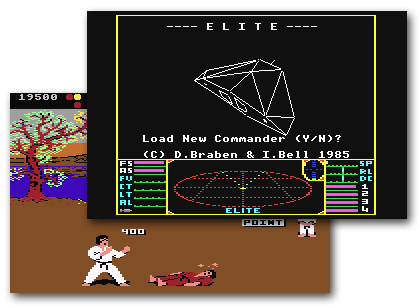 All are highly playable, but Archer MacLean’s International Karate, a C64 favorite, and David Braben and Ian Bell’s seminal space trader Elite, considered the best game ever written by many critics, are particularly welcome. We’ll let readers know when these games appear for purchase within the app and will pass on further news and information surrounding this great emulator as we get it.